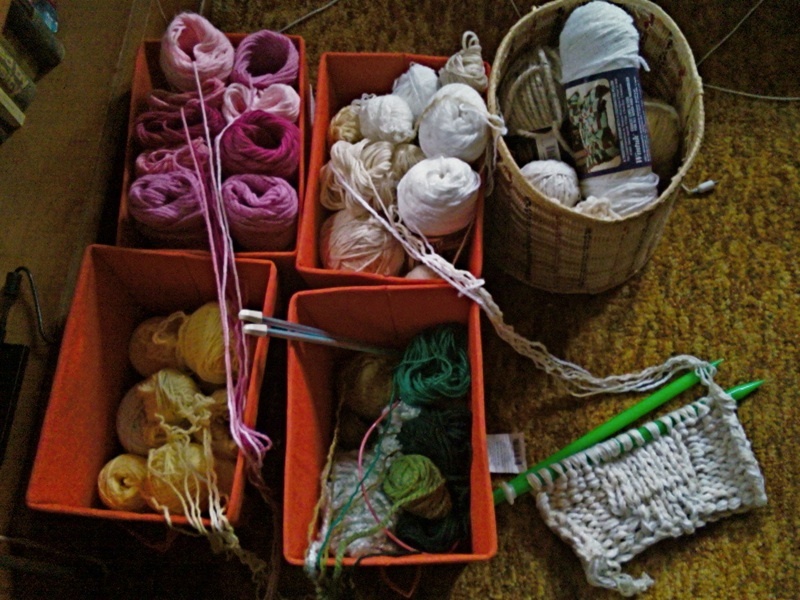 How do I organize multiple skeins of yarn when knitting? My secret is lots of bins; one for each color if possible (or two for one color in this case). It helps keep the yarn from rolling around the room and under the couch, and makes it simple to try out different blends of yarn together.